Steve Pomeroy is Head of Focus Consulting Inc. and Senior Research Fellow for the Centre for Urban Research and Education (CURE) at Carleton University. Steve is a housing policy research consultant, based in Ottawa, Canada. Educated at UBC with a MA in Planning and Urban Land Economics he has over 30 years of experience in local government (1980-82) the non-profit sector (83-84), and with Canada’s federal housing agency Canada Mortgage and Housing Corp. He is widely recognized as one of the leading housing policy experts in Canada and has been an advisor to a number of national associations, municipalities, provinces and territories. In 1994 Steve established Focus Consulting Inc. and has since then has completed over 130 reports and studies and strategies covering issues of socio-economic analysis, homelessness, housing policy and financing. His work also includes a number of comparative studies examining housing systems across a range of countries, compared to Canada. 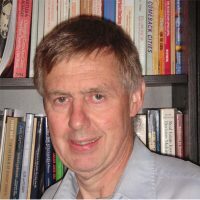 In January 2007 Steve was appointed as a Senior Research Fellow with the Centre on Governance and in 2012 also became a Research Associate with Carleton University Centre for Urban Research and Education (CURE). Steve is trying to inspire and encourage young graduates and new professionals though a course on the Fundamentals of Housing Policy and governance, now a preconference fixture at national and provincial association annual conferences. In 2013 Steve was awarded Queens Diamond Jubilee Medal in recognition for his contributions to housing policy and research.